I joined the Nacho Army a year ago (and 13 days), on the 16th of March 2016. The Nacho Army took over my life. In the year that I have been in the Nacho Army for, I have been to over 200 events, which I found out by searching all of the comments with “I came to it!” because I have commented that on every event that I have come to since April 2016. Me commenting about how I came to each event has taken up 11 pages and only 3 of the comments are not by me. It is strange that I joined the Nacho Army instead of any other army since red is my least favourite colour. I would have joined a blue army but there were none when I joined. I don’t exactly know why I chose to join the Nacho Army but it probably just seemed the most fun. It was a great choice. 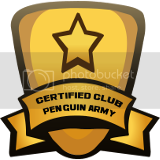 A few years ago, I joined a Club Penguin Army, or maybe 2 armies, but I didn’t come to any events (except I think that I watched one but didn’t understand it). I didn’t really play Club Penguin in 2015 and then came back to Club Penguin in 2016 and saw armies recruiting. It reminded me of them and I remembered what they were like but understood it more and thought that it would be really fun to join one. I took a lot of time choosing the army to join and I joined the Nacho Army! After about a month, I made another account to use for events to make sure that my main account (Blueysib6) wouldn’t get banned in recruiting events but I ended up always using it because I really didn’t want my main account to get banned so I was very careful. I called the account Ohcan123. Ohcan is Nacho backwards, which is why I put Ohcan in the name. However, Ohcan123 got banned after a few months in a recruiting event so I made a new account called Ohcan1234. Ohcan1234 hasn’t been banned (except temporarily once) so I have used Ohcan1234 ever since. Ohcan1234 is now 294 days old. 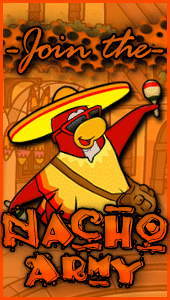 I have loved the Nacho Army a strangely huge amount. I even wrote 10 paragraphs about me loving the Nacho Army: https://nachoarmy.net/2016/09/19/10-paragraphs-about-me-loving-the-nacho-army/. I wanted to marry the Nacho Army… now it’s going to be gone. The last tactic that I ever led was a double escalator with “MESS WITH THE BEST” and “DYE LIKE THE REST”. It was a fun and interesting tactic. I wish that I could have led more tactics like this for the Nacho Army. There was a lot more that I wanted to do in the Nacho Army. I wanted to one day become a leader and improve our tactics to be better than they ever had been before. I had tons of plans for what I would do with tactics but, sadly, the Nacho Army will never have these tactics. I have been hoping for this since I had only been in the Nacho Army for a week. RIP my hopes for making our tactics amazing. 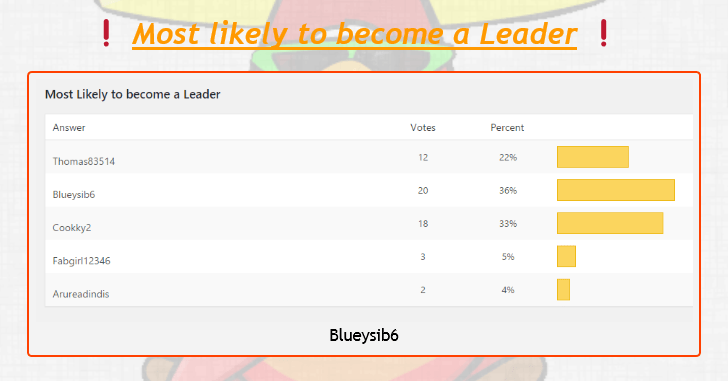 However, I won most likely to become a leader but I never became one. In July last year, I won Nacho of the Month: https://nachoarmy.net/2016/07/01/notm-2nacho-of-the-month/. When I won it, seeing that I had felt amazing. I was so happy about it so thank you dada (lego) for making me Nacho of the Month 8 months ago. I was also analysed in this Analysing a Nacho Soldier post: https://nachoarmy.net/2017/01/21/analysing-a-nacho-soldier-1/. My first post was the 10 paragraphs about me loving the Nacho Army, posted on the 19th of September, 2016. I posted about an event for the first time on the 13th of October, 2016: https://nachoarmy.net/2016/10/13/invasion-of-blizzard-event/. The last event post that I ever posted was on the 2nd of March, 2017: https://nachoarmy.net/2017/03/02/salsa-getting-hot-at-alaska/. The Nacho Army has changed my life. Talking to other people instead of just being alone on my laptop was very useful (I have friends but I didn’t have friends on the internet, which I wanted). I hope that I still know the people who have become my friend in this army when it dies. If I didn’t join the Nacho Army, my entire life would have probably been different. I first played Club Penguin 2951 days ago on the 27th February 2009, when I was 6 years old. Sadly, it hasn’t gotten to 3000 days. My Club Penguin name is Blueysib6 because blue is my favourite colour, Sib is the start of my name and I was 6 years old when I made the penguin. It has been a huge part of my life and I am sad that it’s closing. 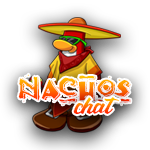 The clothes that I would usually wear on Club Penguin (not in Nacho Army events) were the Blue Shirt and the Blue Propeller Cap. I got both of these items in 2009, which was the year when I joined. 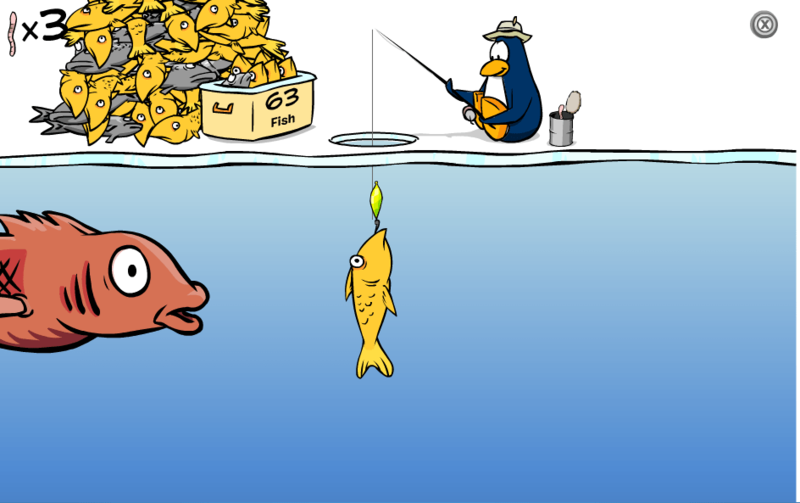 The Club Penguin game that I used to play the most at first was Ice Fishing, then I played Dance Contest and then Cart Surfer. I played all of the games but those were my favourite ones. 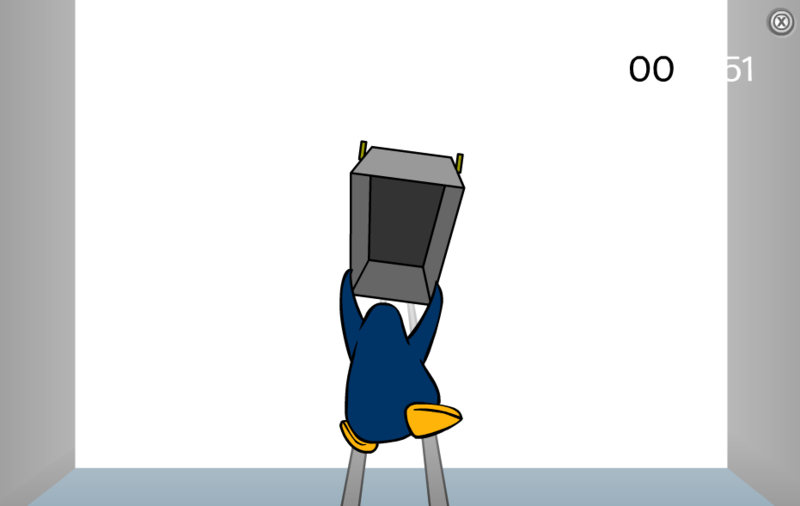 I think that playing Club Penguin is the first thing that I ever did on a computer and it was the start of me being on the internet. Club Penguin is how I first started learning how to use the internet so it is extremely important to me. I remember going on chat one day and saying, “If you want to know the definition of consistency, type ‘I came to it!’ in the wp-admin comment search.” 216! Gotta appreciate that dedication. You saying that on chat is actually why I thought of putting about it on here.